The post Greenwood Gaming Second to Apply for PA Sports Betting License appeared first on SportsHandle. Greenwood Gaming and Entertainment, Inc. is planning to get the most bang for its 10 million bucks. The gaming operator on Friday became the second to apply for a sports betting license in Pennsylvania, where the licensing application is $10 million. The Pennsylvania Gaming Control Board made the application public on Monday. 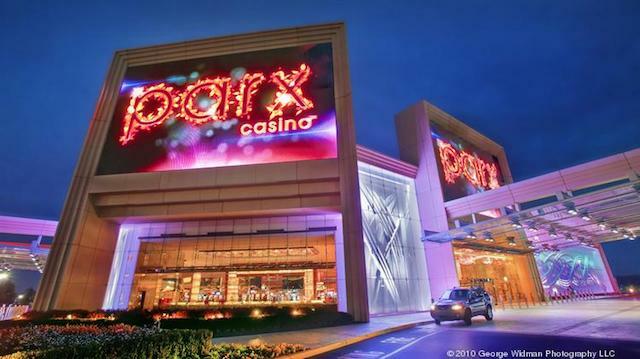 Greenwood applied for the application for use at the Parx Casino in Bensalem, as well as the Philadelphia Turf Club, as an auxiliary location. Greenwood’s application follows the Aug. 17 application submitted by Penn National for the Hollywood Casino at Penn National Race Course. Greenwood Gaming Plans to Offer Land-Based, Mobile and Interactive Sports Betting in Pennsylvania, if Its Application Is Approved. Pennsylvania has the highest licensing fee in the nation, along with a 36 percent tax rate (34 percent state, 2 percent local) for sports betting. The state legalized sports betting in the fall of 2017 and it took nearly 10 months for the first operator to apply for a license. Pennsylvania has 13 sports betting licenses available, one each for every commercial casino currently operating in the state. In its petition, Greenwood states that it already pays the state $250 million in taxes annually from other gaming ventures and that it intends to offer land-based, mobile and interactive sports betting. The company also states that is will offer any and all sports betting allowed by the state. Who will provide integrity and risk management for Greenwood Entertainment is redacted from the public version of the application.